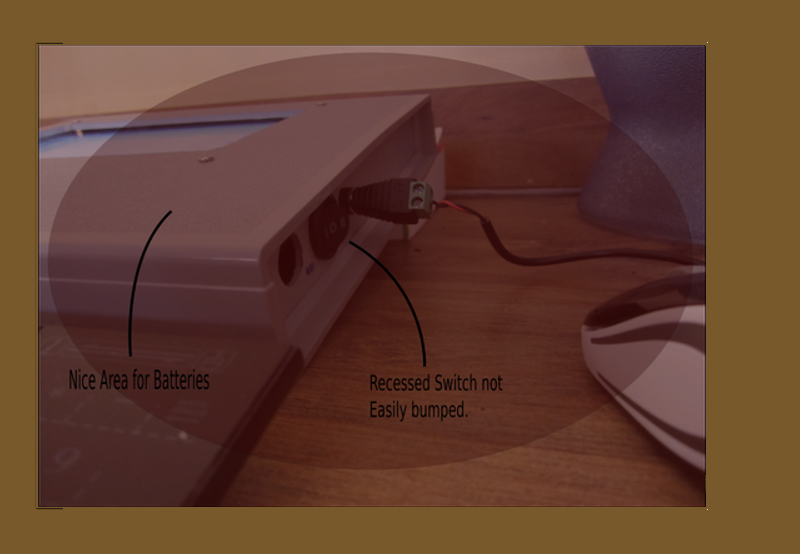 Figure 1: Recessed switches on the enclosure containing the tiny display and the Pi2 SoC chip board is an effective anti-bump device (I hope). I have no RISC OS, or Acorn, or BBC Micro in my background. So, I’ve been picking up what I need to know about it, on the fly. Here are some tidbits about this (new to me) operating system. RISC OS is a system that changes some things so that they appear to work in a way that a unix or windows person would not expect. For instance, on a *nix type of system, a person would be likely to separate directories in a path with the slash character. On RISC OS, the dot is used instead. A *nix person would expect to find a dot between the file name and the file extension. On RISC OS, the slash is used instead. So, the two worlds are reversed. Here’s another example of a reversal: on a DOS system one would use the dir command to list the contents of a directory. On RISC OS, one could use the cat command to list the contents of a directory, and use the dir command to actually change the current directory to be another one. The next big thing for me to know was that I could bridge across some of the learning curve for the new system by using the unix style utilities available on RISC OS, by downloading and installing them through the RISC OS package manager, called PacMan. This allowed my use of some (hard to do without) utilities like grep, and some commands like mv and cp. Of course there is a “RISC way” for everything, but the utilities ease the transition. Unless it’s a command line program, on a *nix system one would be likely to launch a program, and then use the menus (found at the top of the program’s window) to manipulate that program or its work files. On RISC OS, one clicks on a program in the apps directory, after which an icon appears in the icon bar at the bottom of the screen. To use the program to do work (let’s say, edit a photo) – one drags the photo file from the source folder, over the top of the icon in the icon bar, and drops it there. The program window then appears, with the file loaded and ready to let the user work on it. One can double-click a file within a folder in order to launch a program, if the extension of the file is known to have an associated application. Clicking on a program’s icon in the icon bar typically launches the app with an empty work file or work space. There are typically no menus present at the top of the program’s window. Instead, one middle-clicks the mouse to access most or all of the menus needed to use the program. There may be a menu docked to the window for very application specific behaviors, however; more often there are program specific tool bars docked somewhere inside the window. Once one gets used to the middle clicking behavior, it’s quite nice. There is less movement needed to open the menu, it being that the middle click can occur anywhere inside the window. I should reiterate that I’m a RISC OS newbie. Exactly four days, in fact, have I been using it. Seems quite nice. Some notable things to know: inetstat replaces the *nix netstat, and showstat gives connection info (such as whether or not your cable is plugged in :-)) Route has the same functions as regular old route. The network dialog series has a panel for “Access” – which is a networking paradigm for connecting RISC OS machines together, for file sharing and the like. It opens several ports on the internet interface (freeway1, freeway2, and sharefs ports). It sounds interesting, but until I might use it, it’s a concern I need not to have, so I switched it off. Doing that does not seem to affect the regular TCP/IP connectivity. By default, the machine will start with a network configuration made via DHCP, but manual settings can be entered into the appropriate network dialogs if desired. I initially thought this didn’t work quite like magic, until I found that I had a bad cable 😦 Now, it’s fine. So, while I’m learning a little about the command line commands, and the behaviors of the GUI, I’m thinking ahead to what I might do with this little OS. One thing that comes to mind immediately, is to use it for ham radio applications. For many ham radio applications such as SDR (software defined radio), sound/audio hardware of some type is needed. My initial research into what can (easily vs not-so-easily) be used with RISC OS on a Raspberry Pi has borne mixed results. According to my queries on RiscOSOpen.org, there are RISC OS drivers for USB Audio, but not specifically for the Raspberry Pi. There apparently is ongoing work with SPI. I like the idea of using the Wolfson and Cirrus audio adapters. I’m reading that they work well with the Raspberry Pi on the Linux OS platform. (Edit 7/2016: Can verify that the Cirrus adapter does pretty well (IMO) – on the Pi. (See related posts on this blog)). Notice: The site you are viewing is not affiliated with the owners of the RISC OS operating system, or with the Raspberry Pi organization in any way. Contact Castle Technology, Ltd, at https://www.castle-technology.co.uk for information on commercial versions, or https://www.riscosopen.org (open source versions). Contact the Raspberry Pi Foundation at http://www.raspberrypi.org for queries about the hardware. The Raspberry Pi2 is a product of the Raspberry Pi Foundation. All trademarks and copyrights are owned by the respective companies. “Raspberry Pi” is a trademark of the Raspberry Pi Foundation.